Ward Kimball accepted the Academy Award for best short film in 1970 as the director on behalf of Walt Disney Productions. 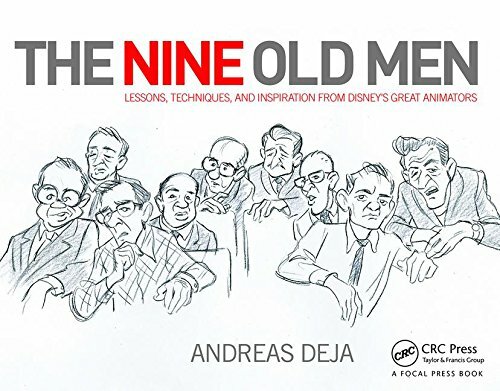 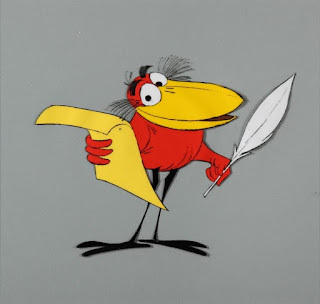 The main character is a wise-cracking bird voiced by Richard Bakalyan with a New York accent. 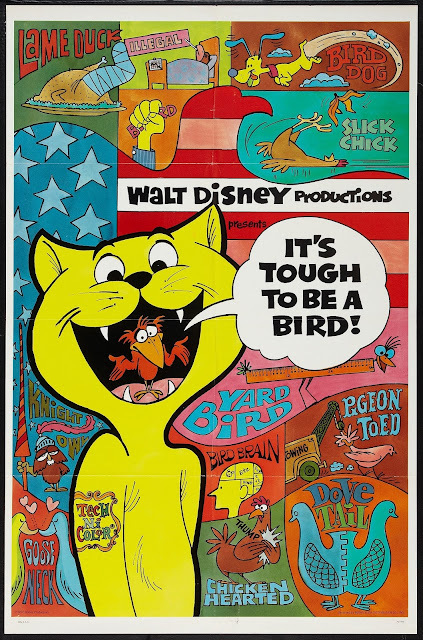 A street smart red bird with a heavy New York accent serves as the narrator, who tries to explains why it's tough to be a bird. 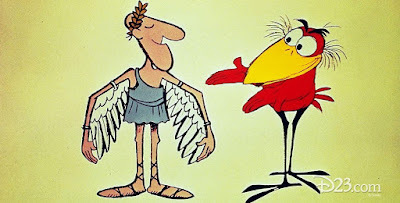 This edutaining animated short with documentary segments explains the common evolutionary origin of birds, how various cultures have perceived the birds throughout history, how some species have become extinct or endangered due to human activity, how people like birdwatchers or townsfolk of Hinckley, Ohio, where the annual Buzzard Day is celebrated, enjoy the birds in a friendly manner and what a monty pythonesque cutout animation collage with birds looks like. Story artists were Kimball and Ted Berman, animation by Eric Larson and Art Stevens. 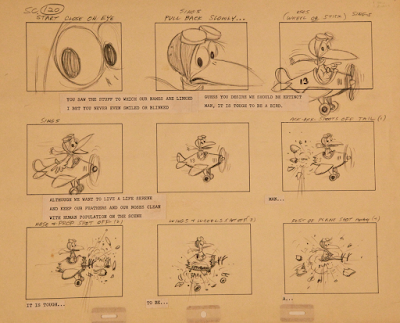 The bird is fully animated while some of the visual gags are presented in limited animation, and very effectively so. 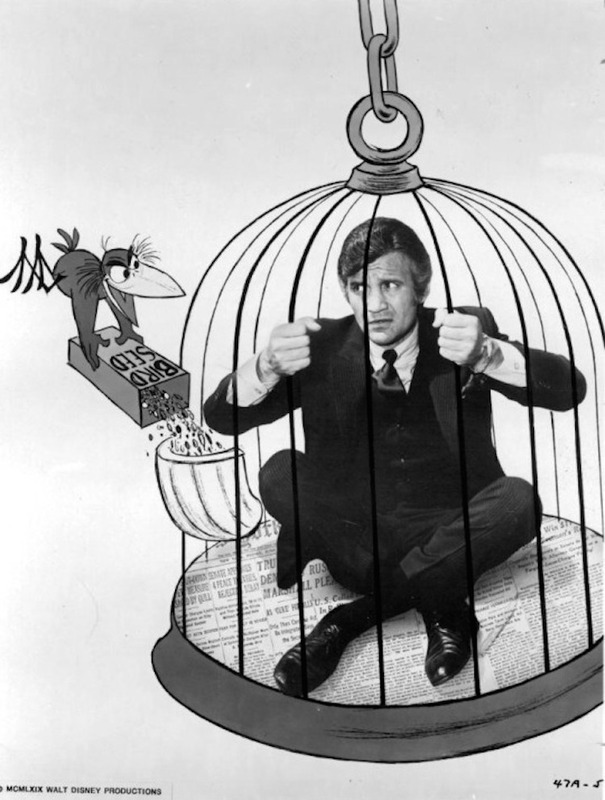 It's a great film, vintage Kimball, full of inventive and surprising graphics and situations. 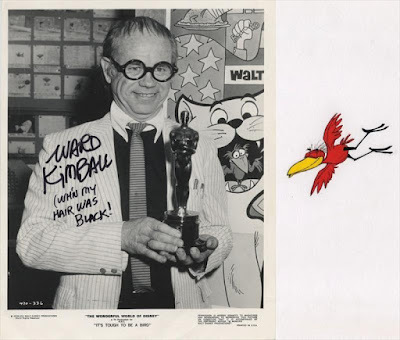 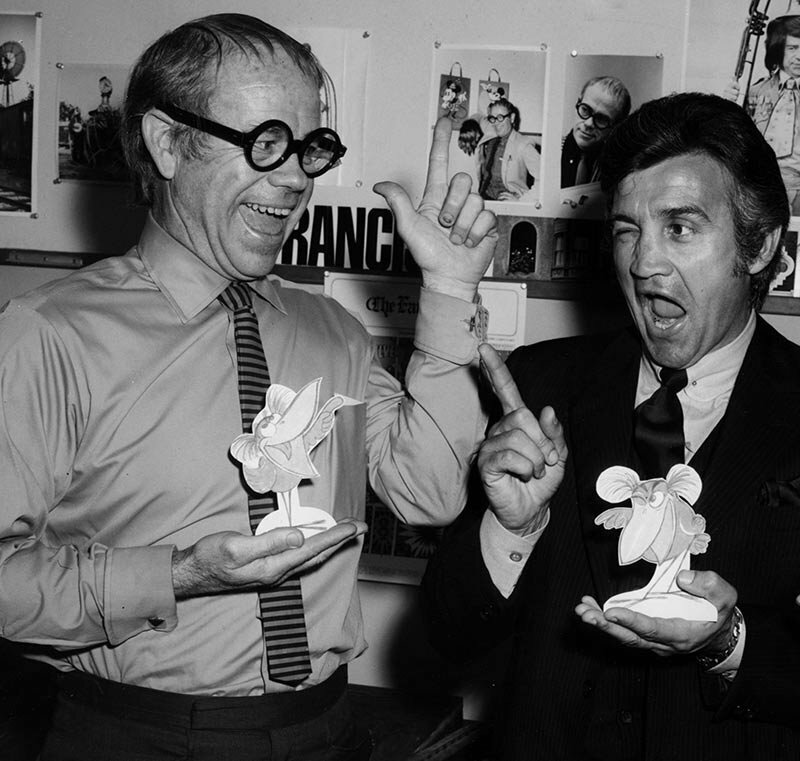 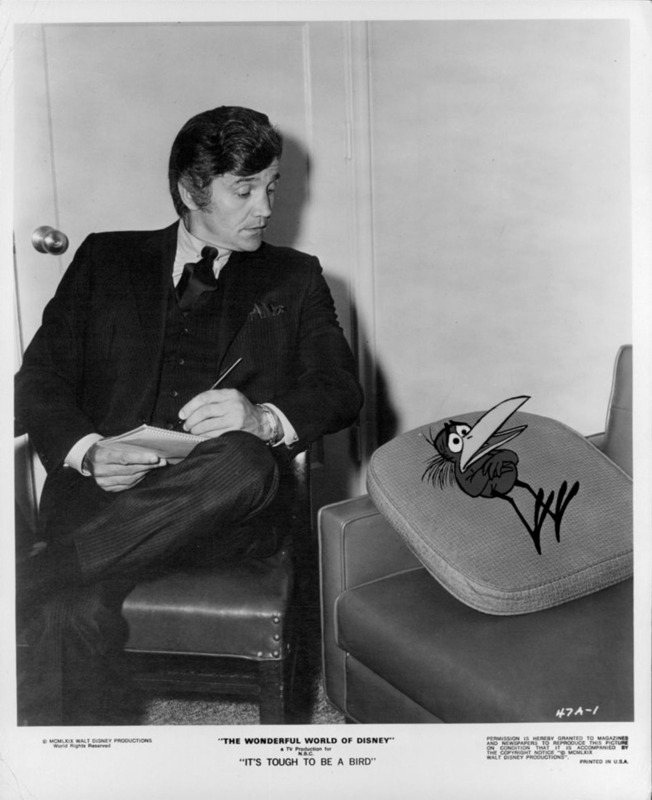 Kimball posing with Richard Bakalyan, who voiced the red bird. 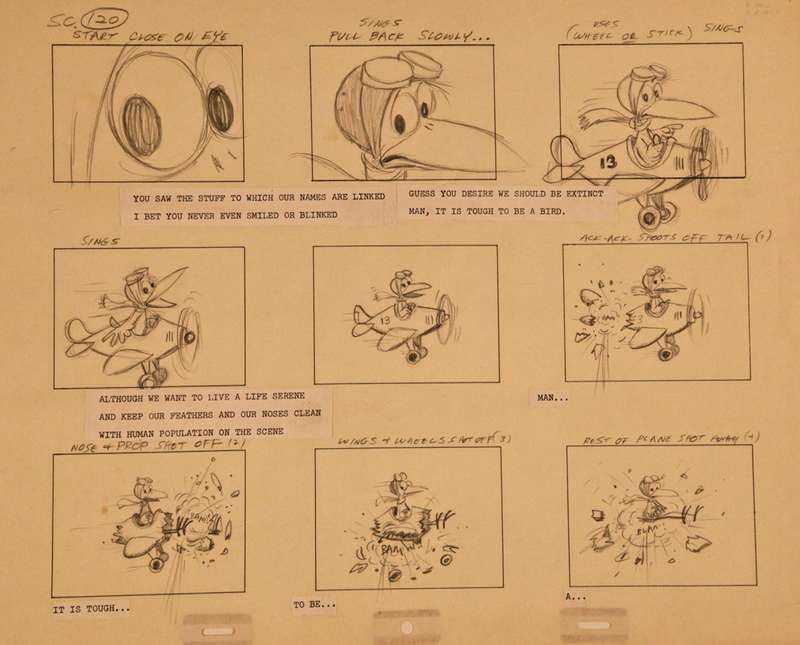 A sheet with a bit of story continuity. Lead character and voice actor publicity photos.